This piece centers on Spalding Gray, and his travels. 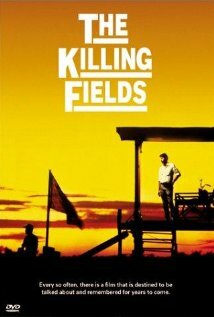 He lands a small part in the film "The Killing Fields" and discusses his experiences with Thailand, smoking, Cambodia, American's history within, his experience with the little red-eared man, his relationship with Renee, prostitutes, his near-death experience with drowning, but very little about the actual conflict. He repeats a need to find greater meaning, perhaps a moment, where he feels he has found what he is looking for (without really even knowing what that is) and hopes that maybe he could find some meaning in Cambodia, with this small role in a film on a massive genocide. His lack of knowledge on the conflict is apparent, as he overshadows experiences he knows about– or perhaps he does not feel at liberty to discuss a horrid genocide about which he knew nothing? 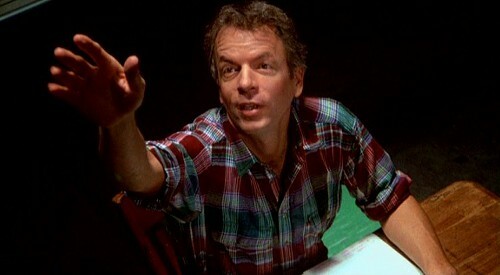 Spalding Gray's performance in "Swimming to Cambodia"